Canberra was built from scratch at the beginning of the 20th century, to replace Melbourne as the Australian capital in 1927. It is a green city, completely planned and built to house the most important buildings in Australia. Canberra was designed as a “garden city” and it incorporates different areas of natural vegetation. The Australian capital is located in the southeast of the country, almost halfway between the cities of Sydney and Melbourne, surrounded by mountains and farmland. The oceanic climate of Canberra varies from dry and hot, during the summer, to cold and cloudy winters, even with mild snowfalls. 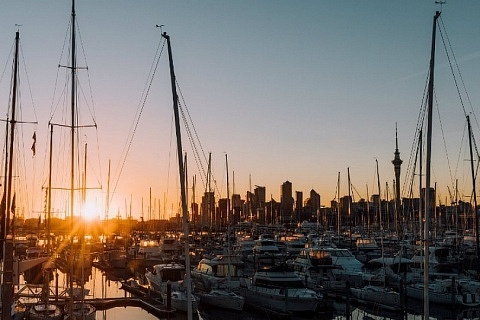 From December to March are the most recommended months to visit. The cuisine in this area of Australia is influenced by British cuisine, represented by meat pie, chicken and some exotic animals such as crocodile, kangaroo, and buffalo, combined with beans, potatoes, carrots, and beans. Arriving at Canberra has to be done by stopover since its airport has mostly domestic flights. From other Australian cities, it is possible to reach the Canberra International Airport to the northeast and about 8 kilometers from the city. 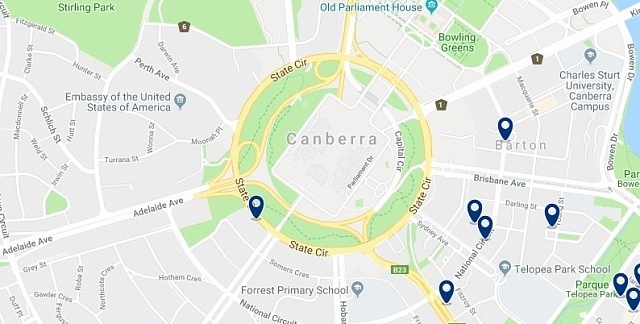 When it comes to public transport, Canberra has a bus network, with stops throughout the city that link to the civic center. Additionally, taxis, apps and rental cars are an option. As for the best areas to stay in Canberra, the City Centre is one of the recommended neighborhoods for gathering the best attractions, restaurant areas and nightlife options.See accommodation in Canberra City Centre. Here’s a guide with the best areas to stay in Canberra. Canberra City Centre is, as its name suggests, the heart of the city of Canberra, as well as its commercial and historical centre. This area revolves around the City Hill Park and Northbourne Avenue. Also known as the Civic Centre or CBD (Central Business District), the Canberra City Centre has excellent public transport connections, and hosts the best boutiques and fashion stores, with brands that range from the most recognized to those of local production. 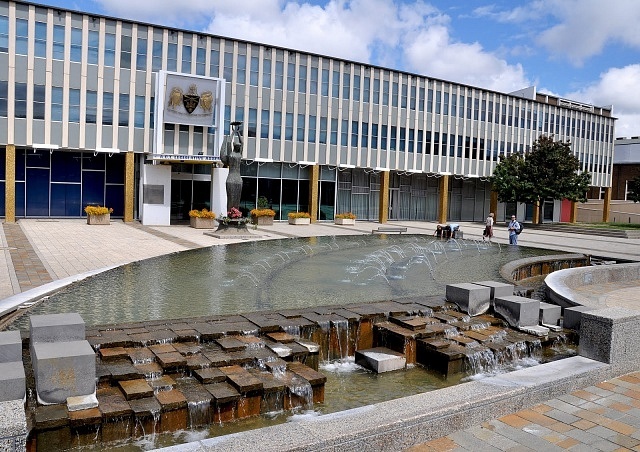 As a result, the City Centre concentrates the largest number of shops in the city. This central Canberra area is also the favourite place for tourists and locals in search of the best nightlife in the Australian capital. The City Centre has several bus stops along Northbourne Avenue, where numerous Canberra transport routes run. This neighborhood offers a variety of accommodation, so it is an area adapted to all tastes and budgets. 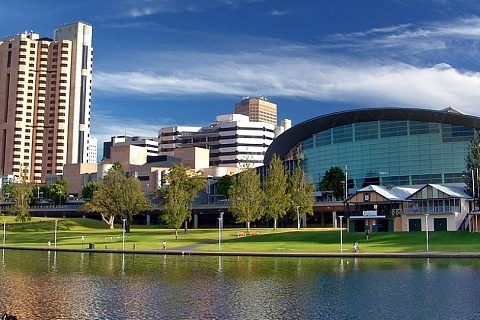 This lively area also includes the Canberra Convention Centre, which makes it an excellent area for business travelers. 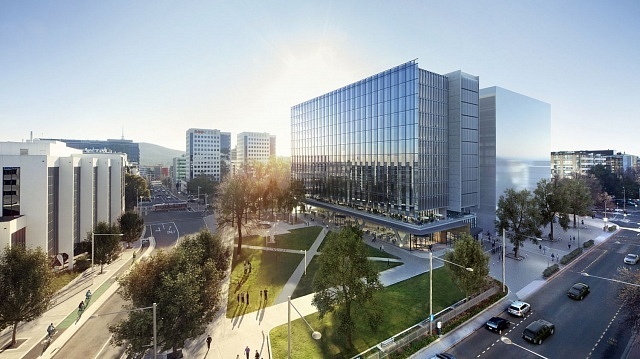 The City Centre is the best area to stay in Canberra, thanks to its excellent connections with public transport, its variety of accommodation and the shopping and nightlife options it offers. The QT Canberra enjoys a perfect location in the centre of Canberra, on the shores of Lake Burley Griffin, and offers elegant design accommodation. Free WiFi is available in all areas, while the concierge team offers quality service. Just 5 minutes’ walk from Canberra city centre, this hotel offers free cable TV and free 24-hour secure parking. Facilities include an award-winning restaurant and a fully equipped gym with sauna. Located in the centre of Canberra, this elegant hotel has a restaurant and fitness center. All luxury accommodations have a private balcony with outdoor furniture. Free airport shuttle service is provided. The Australian Parliament House, also called Yarralumla in the aboriginal language, is an emblematic building, located south of the centre of the city of Canberra. The Parliament House has a modern design in harmony with the surrounding landscapes and is close to shops, cafes and restaurants. 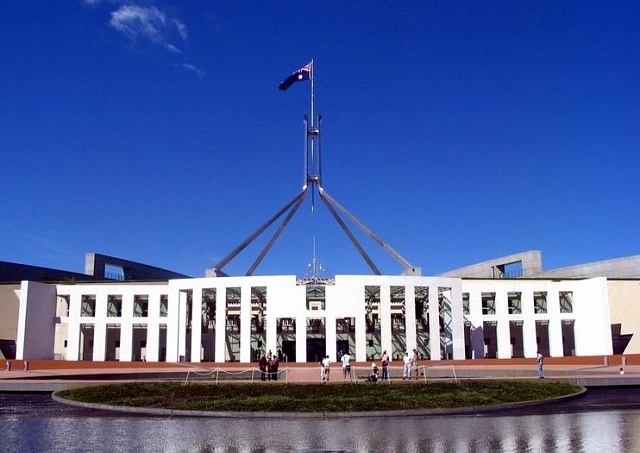 This building, epicentre of the Australian legislative power, is the most visited attraction in Canberra and houses Australian galleries and works of art on its interior. When visiting the Parliament House, you can also go up to its roof, which is made of natural grass. The Australian Parliament House is a infrastructure surrounded by immense gardens, restaurants, cafes, and entertainment venues. The area is full of government buildings, foreign embassies and different kind of architectural styles. This area of Canberra also hosts some of the most luxurious hotels in the Australian capital. The Rydges Capital Hill Canberra, located just 500 meters from the Parliament, offers 24-hour room service and a 15-meter indoor heated pool. The city centre of Canberra is 5 minutes away by car. The 1920’s-style Brassey of Canberra sits on 2.5 acres of gardens, just 5 minutes from the Parliament of Australia and the Capital Circle. Guests enjoy free Wi-Fi, free parking and access to a variety of local restaurant options. This luxury hotel features a state-of-the-art fitness centre with an indoor pool and sauna, and is just 5 minutes’ drive from the Parliament. Snacks can be taken in the common lounge, and there is free Wi-Fi. The Canberra Railway Station is located in Kingston, 4 km southeast of downtown Canberra, and not far from the city’s main government and diplomatic quarter. 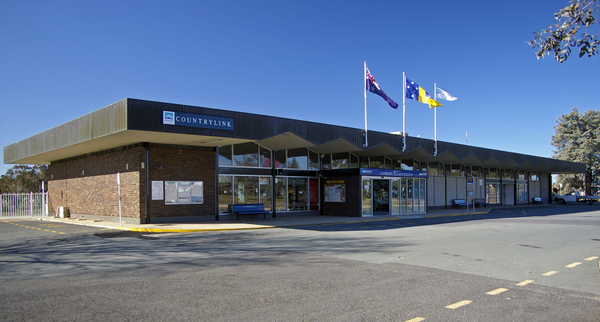 This is the main terminal station of the train line that connects Canberra with the city of Sydney. As Sydney is the main point of international entry to Australia and an important centre of business and tourism, the Canberra Railway Station is a excellent area to stay in Canberra because the trains will always be available during your stay in the Australian capital. 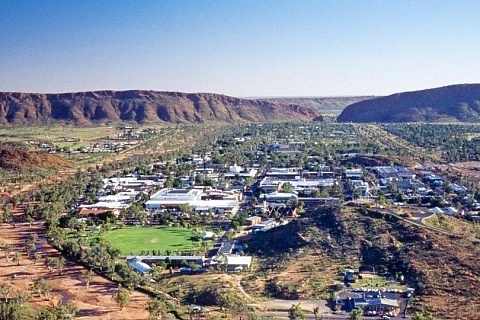 The area, in addition to providing access to the attractions of Canberra, is especially recommended for business travellers, and those who are looking to see the rest of Australia. The Canberra Railway Station is also included among the best areas to stay in Canberra for having a wide range of hotels. The elegant 4-star Diplomat hotel, renovated in October 2018, is located in Griffith, a 5-minute drive from the Parliamentary Triangle of Canberra. It offers rooms with free Wi-Fi access and free parking. The award-winning ibis Styles Canberra offers air-conditioned rooms and free parking. Guests can enjoy the outdoor pool and 100 MB of free Wi-Fi per day. Abode Kingston offers accommodation in Canberra. The property is within walking distance of the Kingston Shopping Centre, 500 meters from the Manuka shopping area and 600 meters from Manuka Oval.